Do you desire professional hydrographic training but lack the means required to travel to attend an in-house training? We have just what you need! 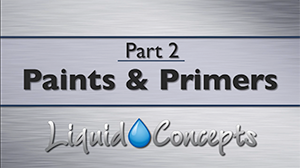 Our new online training video is centered around learning the basic foundation of the entire hydrographics process. 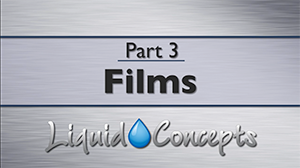 Our training video is lead by Bryan Westbrook, one of the top authorities in water transfer printing. 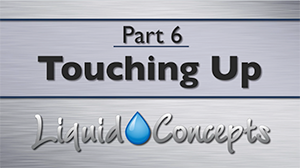 Learn what TO and NOT TO do for every step of the hydrographic process. 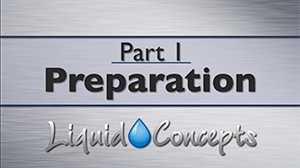 Liquid University is proud to announce our new Online Training Video! We are now able to help clients all over the world learn the entire water transfer printing process on their own schedule and in the comfort of their own location. Learn the basics of the entire hydrographic process as well as get tips and tricks from one of the leading industry experts. 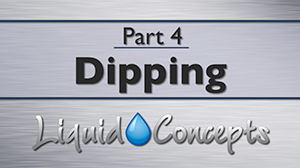 Through the instruction of Bryan Westbrook, the owner of Liquid Concepts, you will learn all the proper techniques and training to properly prep any item, spray your base coat, dip your part and even how to properly apply the clear coat to get that show quality finish every time! 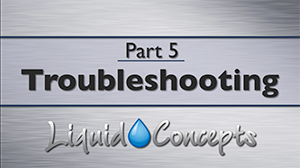 Along with the training you will also receive a downloadable training booklet and our Liquid Concepts Prepping Guide to help you get each project started on the right foot. 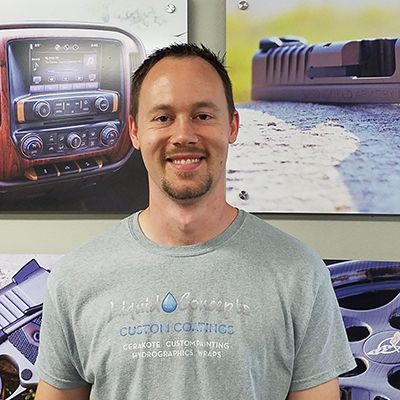 Bryan started Liquid Concepts in 2007 after wanting to expand his knowledge of custom coatings into something NEW! With his knowledge and experience he has had the pleasure of building several one-off projects for SEMA and has worked with many leading manufactures on full scale production jobs. Bryan strives to push the envelope in this industry while offering his knowledge and has trained over 800+ individuals in hydrographics. His main goal is to share his successes and failures along the way to help you expand your business! Get trained by the experts! Set yourself apart! 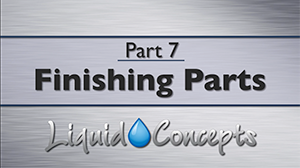 With this video you will obtain the basic foundation for properly applying hydrographics to any surface. 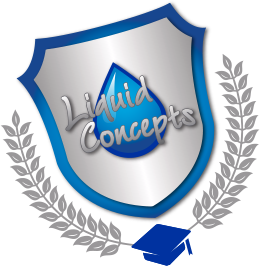 As we continue to grow our Liquid University we hope that we can offer you with more advanced videos along the way. Along with the in-depth training video that you see here you will also have the ability to sign up for our subscription based platform that allows any user to watch all of the videos that we make on a constant basis! This is something that is the first in the industry with detailed videos on certain topics that matter the most to you! The Liquid University Video Subscription will go into full detail on how to paint certain parts, dipping, best ways and practices and much more! We will even cover topics that you may not even have coming into your shop yet but when you do, you will be ready with the knowledge and confidence that you need to get the job done right the first time! This will lead to higher profit margins and lower overhead cost which will make your custom hydrographics shop rise to the top!